Although we have been offering our Best Bike Awards for as long as we have had the Cyclocross Magazine Editors’ Awards, this is the first year we are awarding the category of Best Gravel Bike. The winner of this first award? Look no further than the Volagi Viaje Ti. While we have made fun of the gravel bike name, there is no denying these bikes can be versatile and fun. 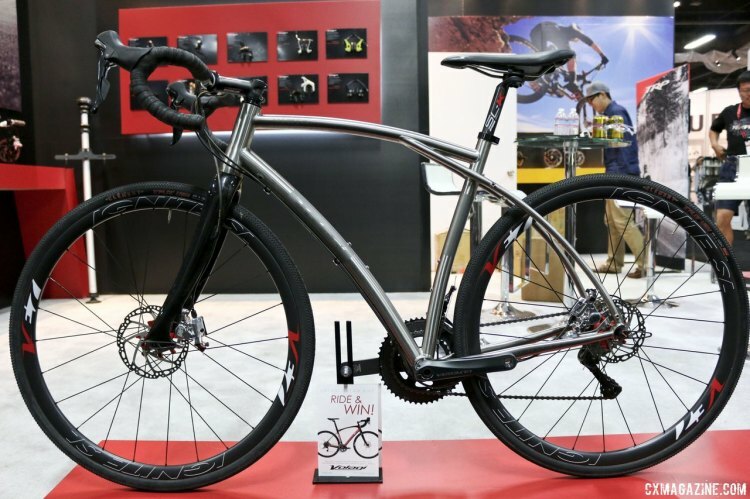 With complete builds starting at $4745, the Viaje offers the ultimate compliant ride over gravel. Its LongBow Flex Stay and swooping top tube will keep you out on an all-day adventure. Bike is useless for true gravel with such narrow tire clearances.